Your fireplace can be a wonderful addition to your home. 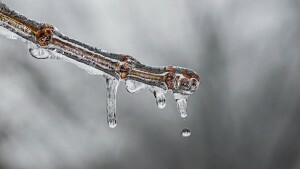 But if it’s not maintained properly, it can become a source of danger to your home and family. An improperly maintained chimney can lead to a fire that starts inside your chimney, causing damage to your home and belongings – and, possibly, even injuries or death to you and your family members. You notice smoke flooding into your home when you light a fire in your fireplace. A layer of soot has built up on your furnishings. Dark smoke is constantly flowing from your chimney – a sign of creosote issues. You hear chirping or animal noises coming from your flue. Or, you can see debris used for nest making, such as twigs, grass, etc., in your fireplace. You smell a foul odor coming from your fireplace. You’ve had a fire in your chimney. A chimney fire can melt mortar, crack tiles, cause liners to collapse, warp metal flues, and damage the outside masonry materials. 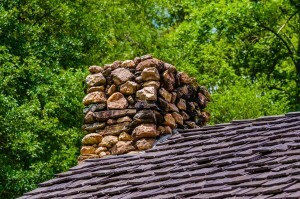 Your chimney has sustained storm or wind damage, such as cracks in the chimney, brick pieces or full bricks have come loose, damage to chimney caps, or metal chimneys have warped, buckled or become detached. 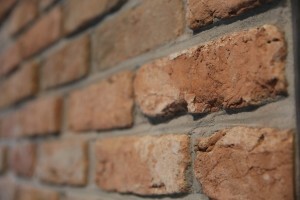 You notice cracks in the masonry or mold accumulation, especially following winter. You’ve moved into a new home that has a chimney. Unless the previous homeowner indicated when they last had the chimney inspected, it’s a good idea to schedule an inspection to check for chimney issues yourself. If you see any of these signs or it’s been a year since your last chimney inspection, call T.J.’s Chimney Service at 317-455-5310 to schedule your chimney inspection appointment. An inspection typically takes less than 2 hours. Our chimney professionals will thoroughly examine your chimney and fireplace – giving you peace of mind that your home and family will be safe the next time you light a fire. What Is a Level 1 Chimney Inspection? It used to be when you had a chimney service technician inspect your fireplace, stove or venting system, they determined the scope of work that was performed. However, recently, the National Fire Protection Association (NFPA) developed minimum chimney standards that no longer leave the tasks performed during a home heating appliance inspection up to the tech. Now, there are three levels of inspections designated by the NFPA. In this article, we will explain what a Level 1 inspection includes as outlined by the NFPA and the Chimney Safety Institute of America. A Level 1 chimney inspection is the most common type of inspection. A Level 1 inspection is recommended if you use your chimney regularly and it’s not experiencing any problems. During a Level 1 inspection, a chimney service professional, like those at T.J.’s Chimney Service, will examine the readily-accessible portions of your chimney’s interior and exterior. What we mean by readily accessible is – the technician won’t require any tools to gain access to your chimney to perform his inspection. The technician will perform a basic inspection of your chimney structure, such as the joints, flue liner, connectors, chimney crown and interior walls – anything that’s not hidden behind a door, panel or other covering. During his inspection, the tech may use some common tools, such as a screwdriver, pliers and/or a flashlight, to perform his examination. But don’t worry, he’ll make sure no damage is done to your chimney structure or finishes. He will check the fundamental installation of your fireplace as well as the clearance level between the firebox area and any combustible materials, like the wood in your fireplace mantle. He will examine inside your chimney to make sure no obstructions exist from leaves, twigs or animal nests. And he will determine if your chimney has any creosote buildup and the stage or type of buildup, which will determine what he needs to do to clean your chimney. At T.J.’s Chimney Service, we perform Level 1 chimney inspections to help ensure the safety of you, your family and your home. Contact us today to schedule your Level 1 chimney inspection and cleaning today. 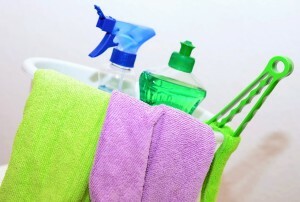 We service homes in the Greenfield, Ind., area and surrounding counties. Imagine receiving a frightening phone call from your elderly grandparents, who live out-of-state and are calling to tell you that they love you, but they’re dying. That’s precisely what happened to Ariane Townsend. And if she hadn’t of called the fire department in her grandparents’ hometown, they would have likely died of carbon monoxide poisoning. During the phone call, Ariane’s grandparents told her that they were nauseous and vomiting. They were having problems breathing and were very weak. And based upon the phone conversation, they were very confused and not making much sense. The call ended with her grandfather telling her that they were dying, but they loved her. And with a final “bye-bye,” he hung up. About 45 minutes later after calling the fire department, Ariane received a call back. Her grandparents were suffering from carbon monoxide poisoning and were being transferred to the hospital. 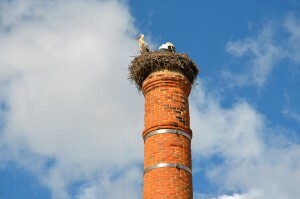 A massive bird nest in their home’s chimney had caused the build-up of carbon monoxide in their home. Since carbon monoxide is colorless, odorless and tasteless, many people don’t realize the toxic gas is building up in their home until it becomes too late. In fact, every year, over 400 people die from accidental carbon monoxide poisoning. Luckily, Ariane’s grandparents weren’t added to that statistic. Install a battery-operated carbon monoxide detector alarm in your home. Check your carbon monoxide detector regularly to make sure it’s functioning properly. Replace the batteries regularly. Leave your home immediately if the alarm goes off and call 911. Make sure that all gas, oil or coal-burning appliances are properly vented to the outside, so carbon monoxide can’t build up in your home. Never patch a vent pipe with tape or something else. Have it repaired by a qualified service technician. Have your gas, oil or coal-burning appliances inspected by a qualified technician every year. Have your chimney checked and cleaned every year by a professional chimney service, like T.J.’s Chimney Service. 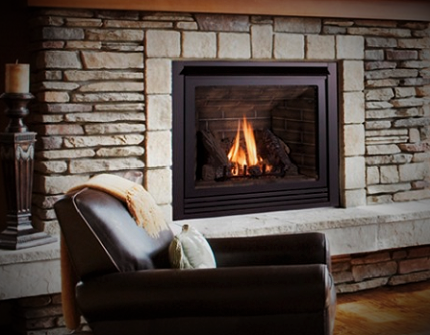 Call 317-455-5310 to schedule an appointment for a chimney inspection and cleaning. If you suspect you may have a carbon monoxide leak, stop using the appliance you believe may be causing the problem. Open doors and windows to ventilate your home. Seek medical attention immediately, if you think you may have carbon monoxide poisoning – you’re feeling dizzy, light-headed, fatigued or nauseous. As the saying goes, “An ounce of prevention is worth a pound of cure.” So take steps to ensure Ariane’s grandparents’ story doesn’t become your own. Get your chimney inspected and cleaned today by T.J.’s Chimney Service, located in Hancock County, IN. How many loads of laundry do you do each week? According to Proctor & Gamble Co., the average U.S. household does 600 loads of laundry each year. And a 2007 survey of 2,500 Whirlpool customers found that 78% of those surveyed do about nine loads of laundry a week. That’s a lot of dirty clothes that we’re washing and drying. While you’re throwing your laundry into the dryer, how much thought are you giving to cleaning your dryer vent? Sure, most people know that lint collects in the dryer’s lint filter. And they may even be cleaning out the filter before or after each load. But do you know that lint can become trapped inside your dryer and your dryer’s vent system? Reduced risk of a house fire. Lint is a leading cause of combustion and accounts for 28% of all residential dryer fires, according to the National Fire Incident Reporting System. From 2007-2011, dryers accounted for about 15,200 fires, 30 deaths, 460 injuries and $216 million in property damages per the National Fire Protection Association. Failure to the clean dryer vent is a contributing cause in many dryer fires. Lowered energy costs. Lint buildup in your dryer vent means your dryer will take longer to dry your clothes. And that means, you’ll have to run your dryer more, which leads to higher utility bills. By cleaning your dryer vent, your dryer will run more efficiently and save you money. Increased life of your clothes. When your dryer vent is blocked, your dryer can overheat, damaging the fibers in your clothes. Additionally, you’ll have to run your clothes through your dryer longer, which can cause the clothing fibers to wear out faster. More time to do the activities you enjoy. On average, a full load of laundry takes about 50-60 minutes to dry. But when your dryer vent is clogged, it may take twice as long for clothes to dry. A clean dryer vent means you can finish your laundry quicker, so you have more time to do what you want to do. Extended dryer life. A blocked dryer vent can cause your dryer to work harder, which means it can wear down faster, requiring costly maintenance repairs. Also lint buildup can cause your dryer to overheat, damaging sensitive sensors. Properly maintained dryer vents enable your dryer to work more efficiently, extending the life of your dryer. At T.J.’s Chimney Service, we recommend that you should have your dryer vent cleaned professionally at least every 18-24 months. But you need to consider how often you run your dryer. A family of five requires more loads of laundry than one person or a couple. So depending upon your laundry needs, you may need to clean your vents more often. Call us today at 317-455-5310 to schedule your dryer vent cleaning appointment, so you can start reaping the benefits of a clean vent system.